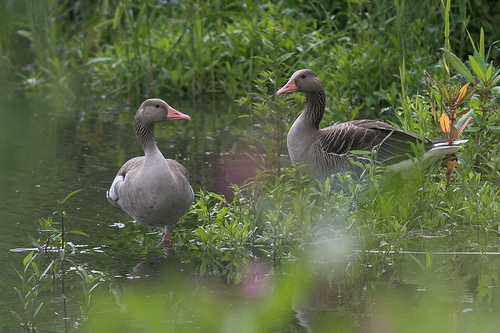 Pair of Greylag Geese in the vegitation. They saw me long before I saw them. They decided to stay anyway. 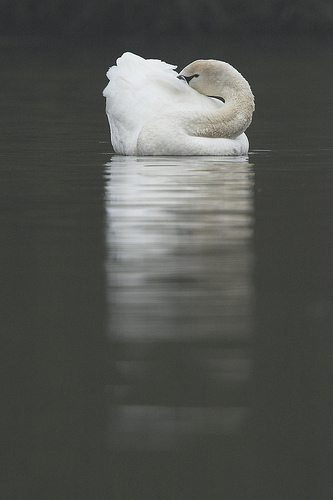 Washing Mute Swan on the water with reflection. 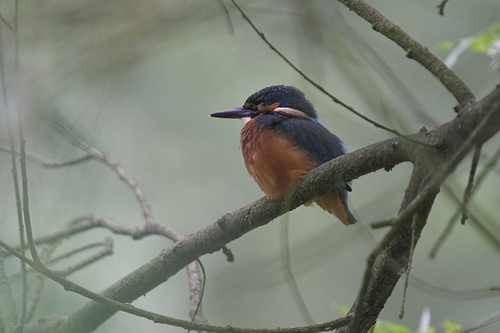 Early morning in the Biesbosch. Flat on your belly, close to the waterline for the best shots. European Robin on a dried Hogweed. 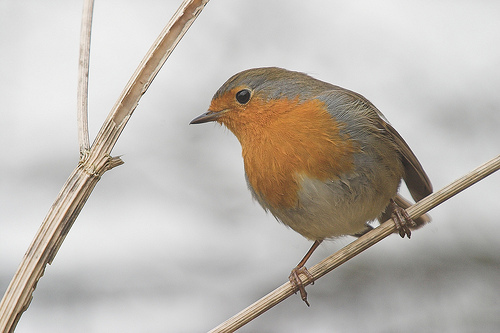 Many birds will benefit from hanging up bird feeders in winter time, but also throw some bird feed on the ground for the Robins.